Apple 'iRadio' streaming rival to Spotify edges closer | What Hi-Fi? A streaming music service from Apple – 'iRadio' – to take on Spotify, Rdio and other streaming services is looking increasingly likely after the discovery of new files hidden within the iPad 4 and 5th-gen iPod Touch. Apple has long been rumoured to be planning a streaming music service to help the iTunes download store compete with the increasingly popular streaming alternatives. Whether an all-you-can-eat subscription service, paying £10/month for as much music as you like - favoured by Spotify, Rdio, Sony Music Unlimited and more – or a Last.fm style radio experience remains up for debate. The rumours have resurfaced today after an eagle-eyed user, called Austin Smith, discovered 'Radio' and 'Buy' buttons buried deep within a jailbroken iPad. There are buttons depicting radio towers and also buy now keys – so naturally it's all too easy to put 2 and 2 together. Of course, other Apple iPod models have come with built-in radios and even allowed the direct purchasing of tracks you tag as you listen to the radio, but 9to5mac reports these are different buttons. 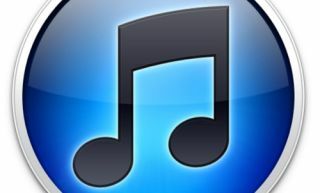 Rumours surrounding potential new products and services from the second richest company in the world are never thin on the ground, however - from a streaming service using iCloud to a move in to offering hi-res music downloads on iTunes.